Newegg Inc., the second-largest online-only retailer in the United States, is pleased to announce a successful jury verdict in a patent infringement lawsuit brought by plaintiff Soverain Software LLC. The verdict was handed down on Friday, April 30, 2010 in the United States District Court for the Eastern District of Texas, Tyler Division, Civil Action No. 6:07-CV-00511-LED. Soverain claims to hold patents covering e-commerce functionalities, like the online shopping cart, which are used by virtually every e-commerce site. "Newegg is extremely pleased with Friday's verdict. The plaintiff was awarded only 7% of the damages requested, and we believe that the jury finding of no direct infringement on any of the 3 patents asserted vindicates our decision to go to trial. It is our strong belief that the accusations set forth in the Soverain lawsuit had no basis in fact. "Newegg intends to appeal a number of aspects of the verdict to the Federal Circuit Court of Appeals and, if necessary, the US Supreme Court. As an innovator in the online retail space, we have always respected the intellectual property rights of others. However, we will not hesitate to defend ourselves vigorously against frivolous claims and to do what we believe is necessary to prevent abuses of patent law and the legal system that stifle innovation and entrepreneurism. Newegg Inc. is the second-largest online-only retailer in the United States. 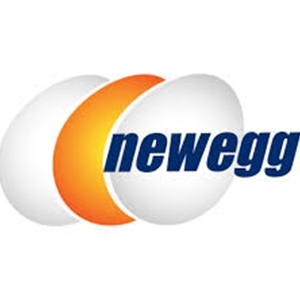 It owns and operates Newegg.com (www.newegg.com) which was founded in 2001 and regularly earns industry-leading customer service ratings. The award-winning website has more than 13 million registered users and offers customers a comprehensive selection of the latest high-tech products, detailed product descriptions and images, as well as how-to information and customer reviews. Using the site's online tech community, customers have the opportunity to interact with other computer, gaming and consumer electronics enthusiasts. Newegg Inc. is headquartered in City of Industry, California.